Israel in Egypt can easily claim to be Handel’s choral masterpiece and will inspire ample festive atmosphere at Cadogan Hall for our performances. 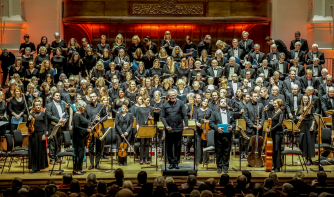 In the heyday of the British Choral Society, its popularity rivalled that of Messiah, due to the dramatic power of its many choruses, accompanied by the largest orchestra Handel used in an oratorio. Its story of a chosen people escaping from captivity and hostile forces also chimed with the national self-confidence of the Victorian era. In today’s more uncertain political environment, and with the revival of more of Handel’s other music, it can be better appreciated on its own merits as amongst his finest musical achievements.